Table for two at Bruxie in Chino Hills, CA. I’ve had this sandwich several times with consistency of quality and taste. Other tuna melts I’ve had usually have been drenched in the mayonnaise and always greasy. This is not that. 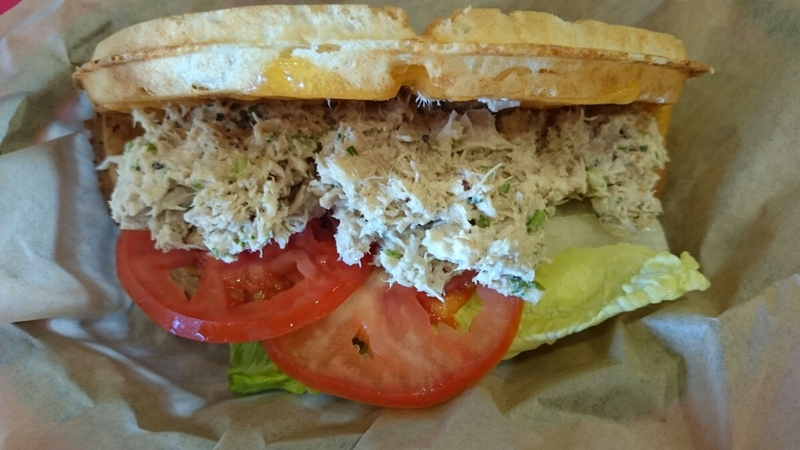 The tuna has a good ratio to mayonnaise to where is not overbearing, but it also isn’t dry. 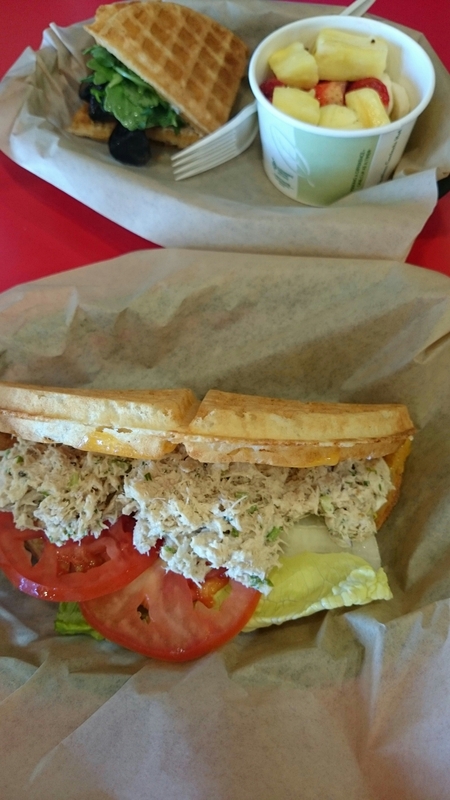 The sandwich is made in a waffle (what Bruxie is known for), which is why it isn’t as greasy as other tuna melt sandwiches. The waffle also keeps it light and adds a little flavor, but doesn’t take over the tuna. A good sandwich to eat if you’re feeling for something light and not wanting that heavy lunch that’ll put you to sleep.